As a true ambassador of fine dining and fine living globally, Sanpellegrino presents a Fine Dining Lovers Guest Chef dining event featuring Michelin-starred Chef Shinji Kanesaka, the leader of premium sushi restaurant Sushi Kanesaka in Tokyo. Joining him on this tour is his qualified successor, Chef Toru Osumi from Shinji by Kanesaka, the first extension of the Kanesaka brand in Greater China at City of Dreams in Macau, which has just been awarded one Michelin star after only nine months of operation. Diners can expect an exclusive and premium sushi experience presented personally by Chef Kanesaka at Yamazato restaurant in The Okura Prestige Bangkok on 15th, 16th and 17th January 2016. This is a rare opportunity which Bangkok would welcome one of Japan’s most celebrated and youngest sushi masters, who is doing his first overseas event as a guest chef. Chef Kanesaka started his training at the age of 18 in one of the oldest and highly-regarded sushi establishments in Japan, Kyubey. 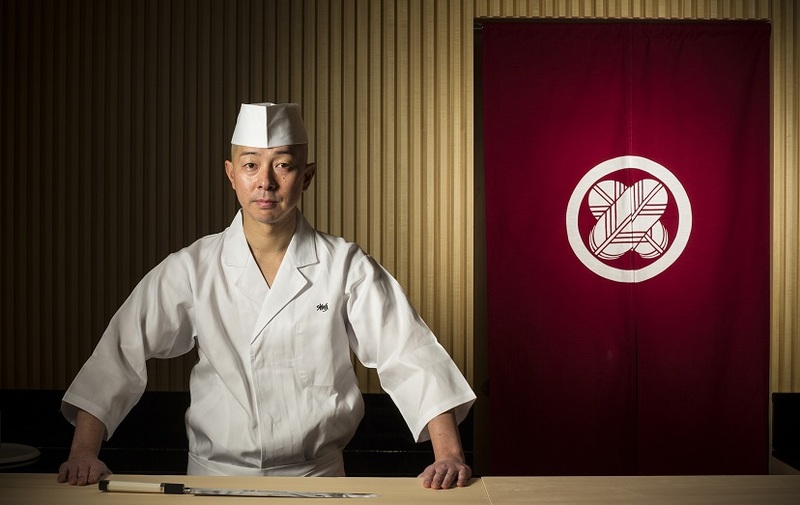 After 10 years of rigid training and intransigence, Chef Kanesaka launched his first outlet Sushi Kanesaka in the highly competitive Ginza district in central Tokyo in 2000. 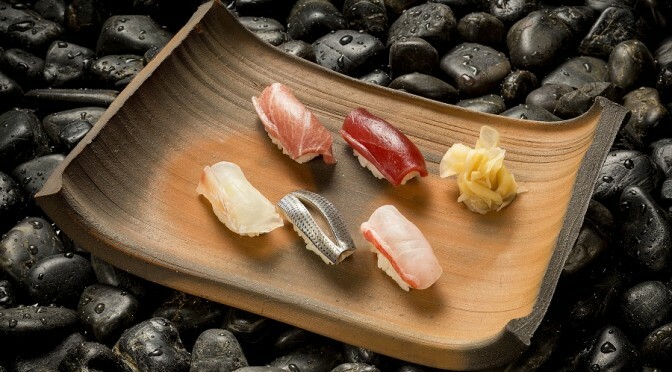 Today, Sushi Kanesaka holds one Michelin star and is considered a mecca for sushi by his legion of fans, which include country leaders and international celebrities as well as famed Kabuki actors and actresses. 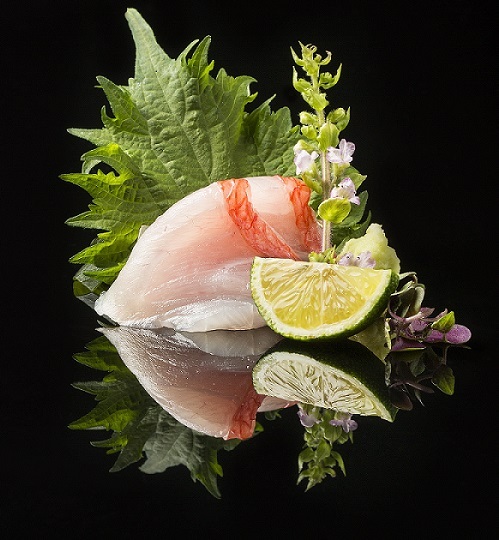 Chef Kanesaka believes that dining on the best sushi is a holistic experience, one that is best delivered with art and soul. There will be no compromise on the quality and freshness of ingredients for this event in Bangkok; special Japanese rice variety will be brought in exclusively and the best selection of fish and seafood supplies handpicked by Chef Kanesaka will be air-flown daily to Bangkok from world-renowned Tsukiji Market in Tokyo. Dishes will be paired with a fine selection of tea from Japan and Acqua Panna, the still natural mineral water from the springs in Tuscany affirmed by esteemed sommeliers and restaurateurs in the world as the perfect mineral water to complement fine food, thanks to its light and velvety taste and unique ability to subtly cleanse the palate. 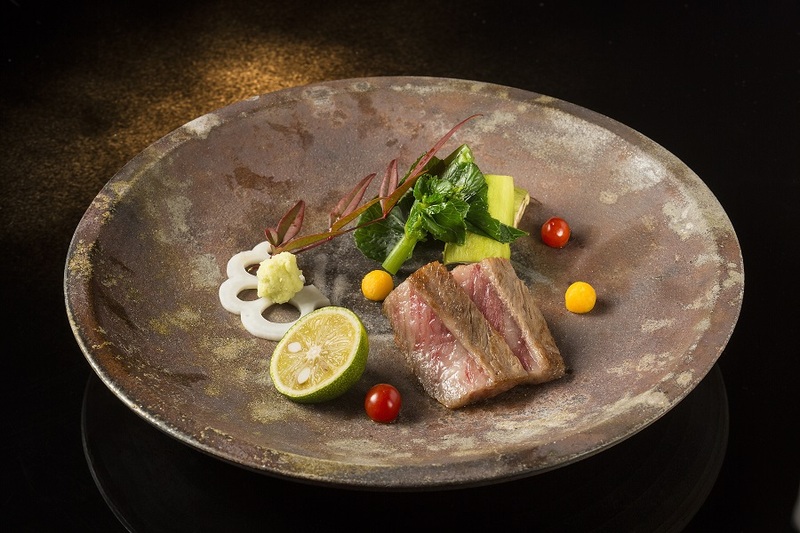 The lunch and dinner will be prepared and served by Chef Kanesaka exclusively to eight diners each session, hosted at the sushi counter of Yamazato, The Okura Prestige Bangkok’s signature Japanese restaurant. An additional private room of maximum eight diners is also available for booking, with the same offerings prepared by Chef Osumi. This top-class sushi experience in Bangkok could be enjoyed for THB 8,900++ for a complete dinner course. For a shorter day-time indulgence, lunch sessions would also be available at THB 3,500++. For more information and reservations, please contact The Okura Prestige Bangkok at 02 687 9000 or email fb@okurabangkok.com. Sanpellegrino initiated the Fine Dining Lovers Guest Chef Series to feature renowned Chefs from top dining destinations around the world, bringing top-notch epicurean experiences to diners in Thailand. Sanpellegrino is dedicated to promote fine dining scene through top-class dining events, as well as on Finedininglovers.com, an online magazine sponsored by S.Pellegrino and Acqua Panna that congregates an inspiring and engaging community to which the brands are intrinsically linked.